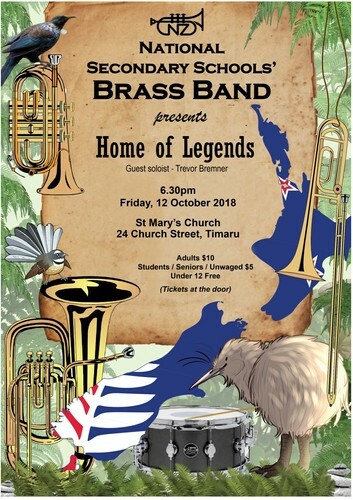 The National Secondary Schools' Brass Band featuring guest cornet soloist, Trevor Bremner, presents 'Home of Legends', a concert featuring an entertaining selection of classic and new brass band music. The band looks forward to presenting a diverse programme of music, including Men of Harlech, Kingdom of Dragons and The Home of Legends, as well as a number of pieces featuring cornet virtuoso Trevor Bremner such as Slavische Fantasie and Conchita. This is a fantastic opportunity to hear the next generation of brass band players and support youth music, and is definitely a concert not to be missed!